Google’s Chrome PC operating system is gaining a lot of popularity lately as a lower cost alternative to traditional Windows laptops. If your loved one would appreciate a lightweight tool for web surfing, word processing and gaming, check out the Toshiba Chromebook 2. 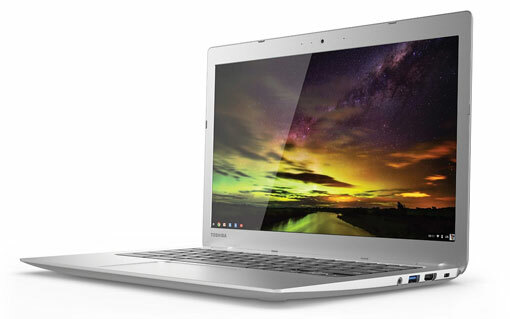 It has the best 13.3-inch screen currently available of any Chromebook, with rich 1920 x 1080 pixel HD resolution. Under the hood, you’ll find a capable Intel Celeron (N2840) processor, a 16GB flash drive and a battery that regularly lasts up to eight hours. If you and your partner spend a lot of time watching television and movies, a smart TV with video streaming apps is a great gift idea. Specifically, we like the Roku TV line for its low cost, ease of use and selection of 1,500 streaming video channels, including Hulu, PBS Kids, Netflix and HBO Go. Roku TV offers access to shows, movies, music, news content, sports coverage and more, along with smartphone mirroring features that will let the recipient beam pictures and video straight to the screen. 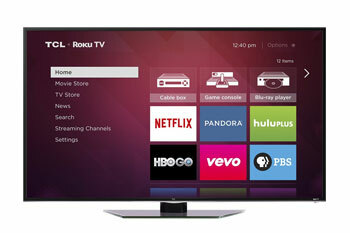 TCL offers Roku TVs in 40, 48 and 55 inches. The Full HD LED TVs don't offer top of the line video quality, but the picture is good, the TV gets great reviews from reviewers and on Amazon (4.5 stars) and the you can't beat the value. Price: $329 for 40-inch TCL 40FS4610R, $449 for the 48-inch TCL 48FS4610R and $598 for the 55-inch TCL 55FS4610R on Amazon. Is your partner a fitness enthusiast? 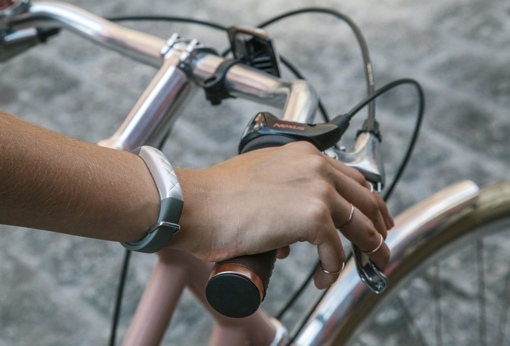 A next-generation activity tracker like the Jawbone UP3 wristband makes a great gift. It automatically differentiates between sports and fitness activities to accurately count calories burned. The included smartphone app tracks meals to accurately count calories consumed. Steps and other daily movement are also accounted for, offering an overall view of a person’s fitness when connected wirelessly to a smartphone. And if you wear it to bed, the device can provide detail about your sleep cycles and offer suggestions for getting a more restful night. No-shave November may be popular these days, but there’s still nothing quite like the look of a clean-shaven man. If you want the special man in your life to stay well-groomed, the Panasonic Arc5 ES-LV65-S, which won our award for Best Electric Shaver, allows him to do so in true luxury style. It features five cutting blades, a blisteringly fast 14,000 cycles per minute and a stubble sensor that fine-tunes the cutting speed for perfect cuts. Those with sensitive skin will appreciate that the Arc5 is rated for use with shaving creams and foams. Shaving cuts will soon be a thing of the past! Is there a tech multi-tasker in your life? This Logitech multi-device Bluetooth keyboard lets users connect wirelessly to up to three devices and switch instantly between them with the click of a scroll wheel. The keyboard works with iOS, Android, Mac and Windows devices, so you can use it with your tablet, smartphone and computer, no matter what platform. Say you’re typing on your iPad when you receive a text on your Android phone; simply turn the wheel to the selector for the phone and type your answer to the text. The keyboard is comfortable to use with rounded, responsive keys and platform-specific shortcut keys (such as the Windows home button). A convenient integrated cradle near the top holds your smartphone or tablet while you type. This tablet is designed for media consumption — perfect for those who like to watch movies and videos and listen to music on a portable device. You may not think of a 13-inch tablet as portable, but Lenovo has built a slim, lightweight tablet that can easily be carried from to room throughout the house. On the bottom is a cylinder with a built-in projector that can project a 16:9 high-resolution image onto surfaces such as a clear wall or even a ceiling. You can project movies, videos or presentations, making this the perfect family gift. Movie lovers will enjoy what appears to be a 50-inch viewing screen, and music aficionados will appreciate the built-in rear subwoofer that delivers immersive, crystal-clear sound. The tablet comes with 32GB of expandable storage and runs on Android 4.4 KitKat. 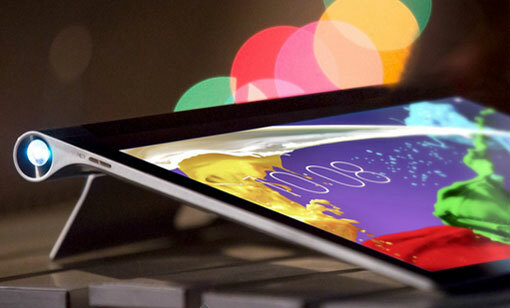 Just like other Yoga tablets, the tablet features a kickstand to allow viewing from different angles — or just hold it in your hands. With its QHD display and ability to provide an immersive theater experience, this tablet can do double duty as a TV in a college dorm and provide backseat entertainment on a family road trip. 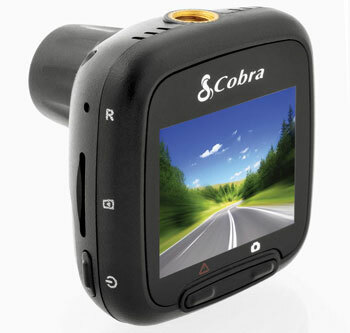 Dash cams make great gifts for road warriors and young drivers. Because they continuously record everything going on in front of you as you drive, you’ll always have a record for insurance purposes or other situations you may want to have video of. The CDR 820 features full HD video and loops its recording to constantly write to the included 8GB memory card, deleting older files as it records. Its motion sensor turns on recording automatically whenever the car is moving, and a built-in G sensor detects sudden acceleration or impact and automatically protects the video from being deleted. If you want the added bonus of being able to stream live footage directly to your iOS or Android device, spend the extra money and buy the $250 CDR Dash Cam 900 with Wi-Fi. Using the free Cobra Drive HD app (iOS or Android), you can view and share the video and remotely command the unit to start recording. 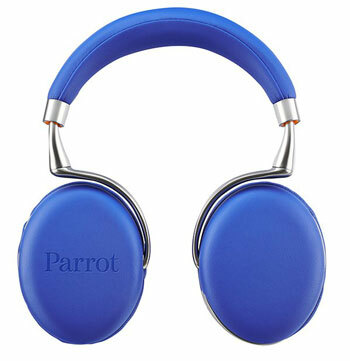 The Parrot Zik 2.0 headphones will strike a chord with audiophiles and anyone looking for great-looking, great-sounding premium wireless headphones. These luxury cans were designed in collaboration with the French designer Philippe Starck, and not only do they look and feel luxurious, they’re also smart, thin and light. Like the original version, the Zik 2.0 pair instantly with NFC-enabled devices. Touch controls on the right ear cup allow you to stop, pause, go forward, change tracks, adjust volume and otherwise control your music without looking at your device. You can also take calls on the headphone. Here’s another convenience you’ll love: a built-in sensor that recognizes when you are wearing them; when you take them off, the music pauses. Active noise canceling and an app that lets you equalize or fine tune your music make these an expensive but worth-it gift for the music lover in your life. Want a truly fun and indispensable tool for the kitchen? 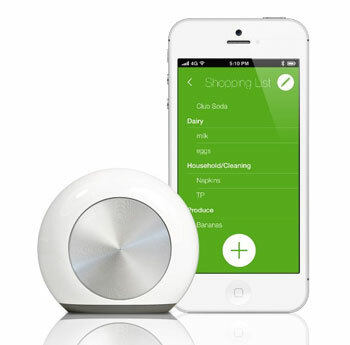 Talk to it or use its integrated barcode scanner, and Hiku creates a shopping list that appears on your phone or tablet. You can share your list with others, and when you add an item or cross one off, your list is updated everywhere. Everything works just as you hoped it would. Hiku automatically groups your grocery list by aisle, and the voice recognition is surprisingly accurate. If anything on the list is unclear, you can play back the audio recording from the list to clarify. Hiku even sticks magnetically to your fridge for ready access. This intelligent little device will become a best friend to anyone who makes grocery lists — it actually makes grocery shopping fun. Future updates are expected to cover home shopping delivery. 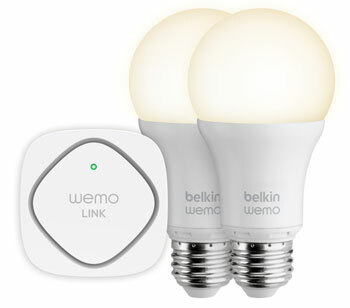 The only downside: The Hiku is clearly designed for the affluent home, and every couple of months, you’ll need to remember to charge it..
Belkin’s Wemo Lighting Starter Set is an easy way to experience the benefits of a connected home. Control these two standard-socket light bulbs wirelessly from a web app, and program them to turn on and off even when you’re not there. You can sync them with sunset so even as the days get shorter, there’s no need to reprogram. The schedule can vary by day of the week. It’s a perfect gift to make your home look lived-in while you’re out or to light the way ahead of your return. The LED Lighting Starter Set comes with two long-life, low-energy bulbs with a bright warm light similar to 60 watt bulbs. With three hours of use a day, they will last 22 years and cost $1.14 a year in electricity. Setup up is simple with the included Wemo Link that plugs into a power socket, connecting wirelessly to your home Wi-Fi network.